Biogeography has renewed its concepts and methods following important recent advances in phylogenetics, macroecology, and geographic information systems. In parallel, the evolutionary ecology of host-parasite interactions has attracted the interests of numerous studies dealing with life-history traits evolution, community ecology, and evolutionary epidemiology. 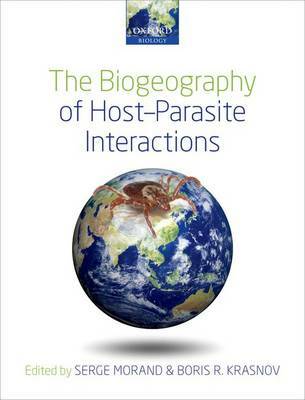 The Biogeography of Host-Parasite Interactions is the first book to integrate these two fields, using examples from a variety of host-parasite associations in various regions, and across both ecological and evolutionary timescales. Besides a strong theoretical component, there is a bias towards applications, specifically in the fields of historical biogeography, palaeontology, phylogeography, landscape epidemiology, invasion biology, conservation biology, human evolution, and health ecology. A particular emphasis concerns emerging and re-emerging infectious diseases linked to global changes.